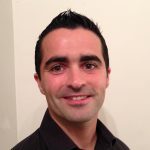 Kevin Cameron has over 14 years experience working on all aspects of the Software Development Lifecycle. His roles have varied between pure Engineering, Development & Support. He has worked in both, sole contributor roles as well as managing large teams in his time at JPMorgan. He currently drives a transformation program around DevOps & SRE Adoption within the Investment Bank and enthusiastically leads a local DevOps community of practice in Glasgow. He has a constant thirst for learning and automation, and is a self proclaimed DevOps evangelist both inside and outside of work. Kevin is also a keen Ultramarathon runner in his downtime!